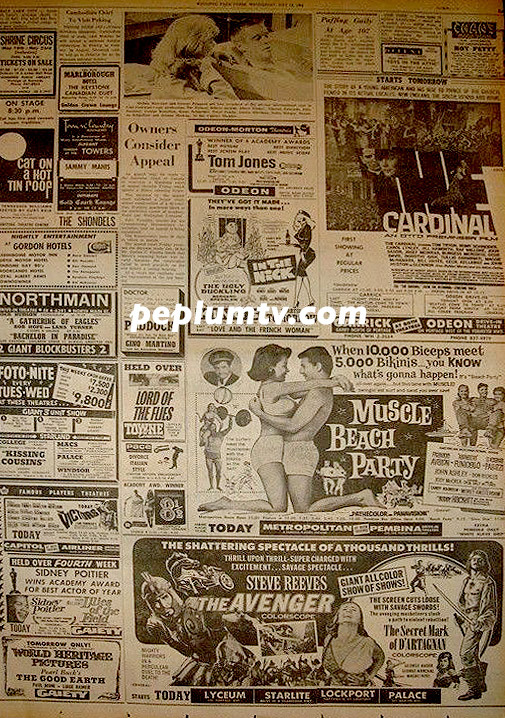 THE AVENGER, the Steve Reeves Opus, advertised along with other films of the period. Cool stuff. It's also known as WAR OF THE TROJANS, which is a better title than THE AVENGER, which sounds like a Chuck Norris film released by Cannon/Golan-Globus in the 1980s.